How Should We Judge the Revolutionaries? One of the historic leaders of French socialism defends the Revolution of 1789. Jean Jaurès was one of the great figures of French socialism, a brilliant orator and propagandist who helped found the unified French Socialist Party in 1905. Long an enemy of militarism and the role of the military in French society, his final battle, against the oncoming war, led to his assassination on July 31, 1914 by a right-wing fanatic. Jaurès believed that it was the French Revolution of 1789 that established the foundations of the socialist movement and the future socialist society, and amid his political activities he wrote his masterpiece, A Socialist History of the French Revolution, a work that laid the groundwork for all of the subsequent histories that placed working people at the heart of the revolution. The following chapter from the Socialist History was translated from French by Mitchell Abidor and is from his recently released abridgement, published by Pluto Press. A historian is always allowed to oppose hypotheses to fate. He is allowed to point out the errors of men and parties and to imagine that without these errors events would have followed another course. 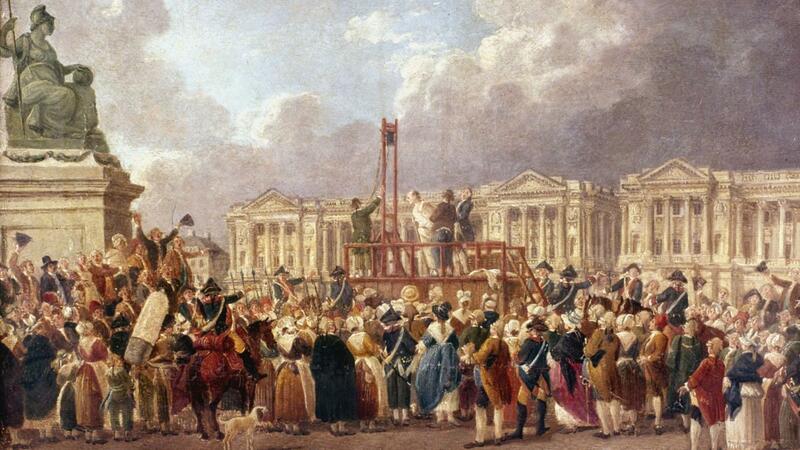 I have spoken of Robespierre’s immense services after May 31, organizing the revolutionary power, saving France from civil war, anarchy, and defeat. I have also spoken of how, after the crushing of Hébertism and Dantonism, he was struck with doubt, blindness, and distraction. But what must never be forgotten when judging these men is that the problems fate imposed on them were formidable and probably beyond human strength. Perhaps it wasn’t possible for one generation alone to bring down the ancien régime, create new laws and rights, raise an enlightened and proud people from the depths of ignorance, poverty, and misery, fight against an international league of tyrants and slaves, and to put all passions and forces to use in this combat while at the same time ensuring the evolution of the fevered, exhausted country towards normal order and well-ordered freedom. The France of the revolution required a century, countless trials, backslidings into monarchy, reawakenings of the republic, invasions, dismemberments, coups d’état, and civil wars before it finally arrived at the organization of the republic, at the establishing of equal liberty through universal suffrage. The great workers of revolution and democracy who labored and fought more than a century ago are not accountable to us for a labor that required several generations to be accomplished. To judge them as if they should have brought the drama to a close, as if history was not going to continue after them, is both childish and unjust. Their work was necessarily limited, but it was great. They affirmed the idea of democracy to its fullest extent. They provided the world with the first example of a great country governing and saving itself through the power of the entire people. They gave the revolution the magnificent prestige of the idea and the indispensable prestige of victory. And they gave France and the world so prodigious an impetus towards freedom that, despite reaction and eclipses, the new rights they established took definitive possession of history. Socialism proclaims and rests on these new rights. It is a democratic party to the highest degree since it wants to organize the sovereignty of all in both the economic and political spheres. And it bases the new society on the rights of the human person, since it wants to grant every individual the concrete means of development that alone will permit him to fully realize himself. I wrote this long history of the revolution up till the 9 Thermidor in the midst of struggle, a struggle against the enemies of socialism, the republic, and democracy. A struggle as well among the socialists themselves over the best methods of action and combat. And the further I advanced under the crossfire of that battle, the stronger was my conviction that democracy is a great conquest for the proletariat. It is at one and the same time a forceful means of action and the form in accordance with which economic and political relations should be ordered. This was the source of the passionate joy I felt when I saw the molten metal of socialism that flowed from the revolution and democracy as if from a furnace. In an important sense — in the sense Babeuf meant it when he invoked it in speaking of Robespierre — we are the party of democracy and the revolution. But we haven’t shackled and frozen it. We don’t claim to have fixed human society in the economic and social formulae that prevailed between 1789 and 1795 and which responded to living and economic conditions that are no more. The bourgeois democratic parties too often limit themselves to picking out a few fragments of cooled-off lava from the foot of the volcano, to scooping up some extinguished ash from around the blaze. Instead of this, the burning metal must be poured into new molds. The problem of property is no longer posed, can no longer be posed, as it was in 1789 or 1793. Private property was then proclaimed to be both the form and the guarantee of human individuality. Given the existence of large-scale capitalist industry, the socialist association of producers and the common and collective property of the means and methods of labor have become the conditions for universal liberation. Strong class action by the proletariat is needed in order to wrest the revolution and democracy from all that is now outdated and retrograde in the bourgeois world view. “Class” and not “sect,” for the proletariat must organize all of life, and it can only organize democracy and life by involving itself in them. The action must be grand and free and carried out under the discipline of a clear ideal. A democratic politics and a class politics: these are the two non-contradictory terms the proletarian force moves between, and which history one day will merge in the unity of social democracy. In this way socialism is attached to the revolution without being chained to it. And this is why we have traced the heroic efforts of revolutionary democracy with a free mind and a fervent heart. I pass to the hands of our friends the torch whose flames have been swirled about by the storm winds and which half-consumed itself in tragically lighting up the world. A tormented but immortal flame which despotism and counterrevolutionaries will strive mightily to extinguish and which, ever-revived, will expand into an ardent socialist hope. It was in the murky atmosphere of Thermidor that the light of the revolution would now have to struggle. Jean Jaurès was a French socialist and antimilitarist.